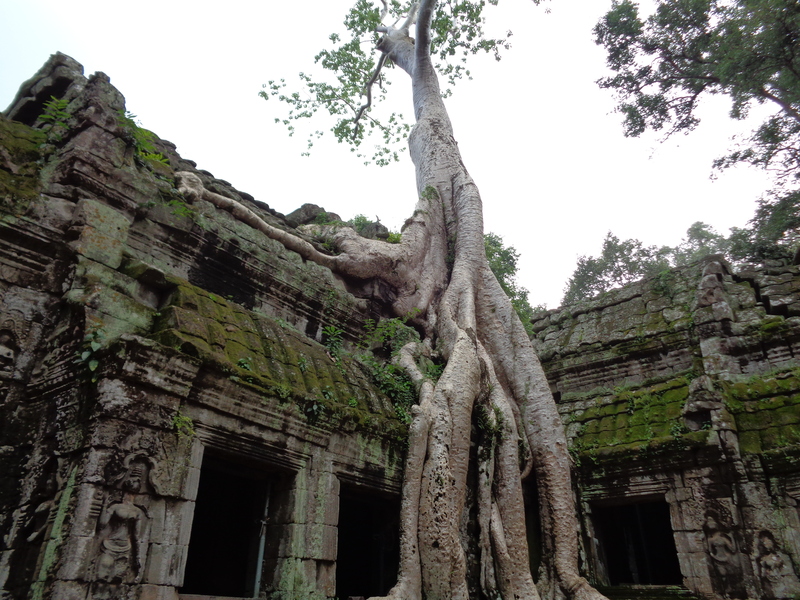 Astonishing jungles and rural beaches are not the only part of Cambodia that need thorough examination. 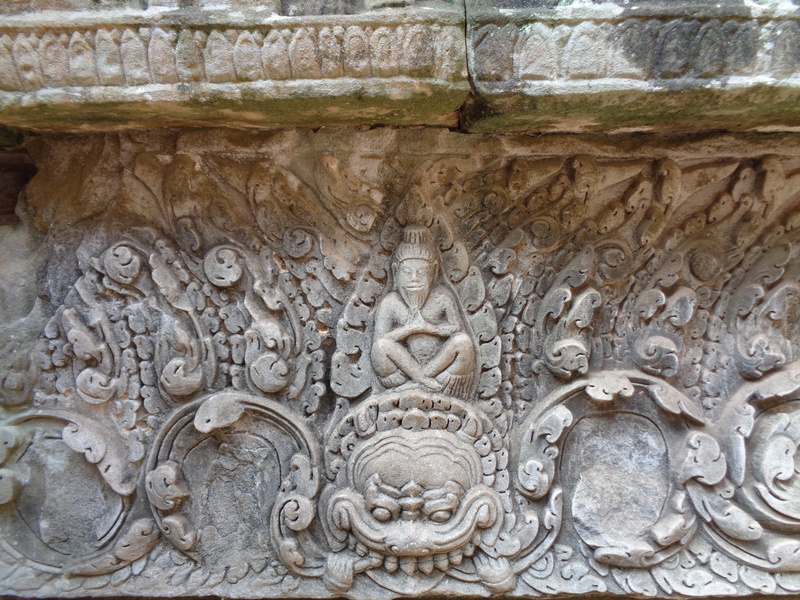 The intricately carved ruins of Angkor Wat allow one to have an extensive expedition into the country’s rich history. Taking my sweet time, bicycling Angkor Wat over the course of three days allowed me to cherish the archaeological site for what it is worth. Many backpackers I met had rushed through the site, taking a tuk tuk from temple to temple. It is understandable with the limited time that some people have, but then the experience becomes daunting. Appreciation is lost because the tour ends up becoming a list to check off instead of an investigative adventure into Cambodian history. Exploration with ease made me appreciate Angkor Wat in all its glory instead of over packing one day. With the sun at full strength and a six kilometer ride to the entrance, time was necessary. I was able to see all the major sites within two days and witness the sunrise my third. I felt obligated to closely study these ancient relics that took hundreds of years to create, still standing thousands of years later. Respect toward Khmer ancestry originated this obligation. Some temples I spent hours examining with a few of those hours just sitting among the ruins that once signified a great power within Asia. Recognized as the largest religious (first Hindu, then Buddhist) monument in the world, Angkor Wat is held as a grand symbol of the Khmer Empire. The intricacy of the carvings within every temple was astounding. Years of diligent craftsmanship that created such precious art, let alone entire temples, was impressive. The decorative pillars and archways supported the apsaras (elegant female beings from Hindu and Buddhist mythology) and devatas (devas) detailed throughout temple walls. To draw or paint an image is a talent in itself, but to carve it in stone with primitive tools is unimaginable. Current restoration and preservation of multiple temples today made me envision the ample strength necessary to move a single block, especially when considering the lack of modern technology. I took the time that many do to see the sunrise and sunset over Angkor Wat. After my exhausting first day of riding the small circuit, a group of Khmer children joined me prior to sunset. Discovering I was too cheap to give into their begging, the kids started joking around and teaching me a few Khmer words. I learned to count, which has sadly already been forgotten, and foolishly fell into whatever trap they created to cause a good laugh amongst us all. They were memorized by my tattoos and each made a point to introduce themselves. My continuous interaction had kept a steady group present with a few drifting off as others filled the void. They did not want to bother me, just observe, allowing me solace when the sun finally faded. 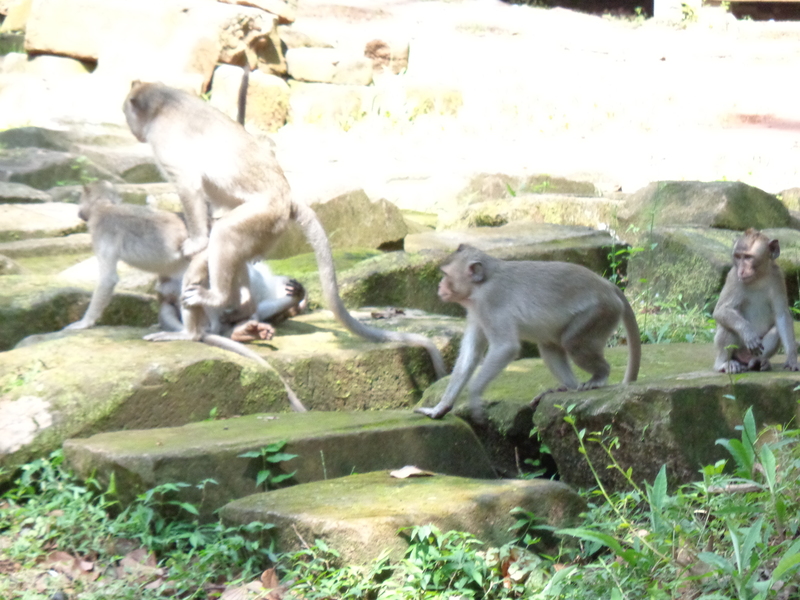 I was just as fascinated with them as they were with me, watching their ritual swarming of tourists as each bus load poured out of the temple periodically. The sunrise was as littered with tourists as any other time at Angkor Wat, but I luckily avoided the wave to the best of my ability. I was the first person to arrive my final morning, giving me a moment of peace amongst the ruins. Having the sacred place to myself was quite special. It was a goal I never intended, but joyfully accepted. Soon shattered, a woman arrived and directed me to the hot spot where everyone collected for the “must see” moment. I discovered she was a vendor when I was offered a chair and cup of coffee in front of the lake, which sat a fair distance from the actual temple. Bewildered by the herds of people arriving, I decided to move closer to the temple. I sat behind what could be considered a large, stone fence to witness the sunrise. It was spectacular because very few people figured out the stellar location that avoided hundreds of tourist. The sunrise was cool, though gloomy from cloudy skies. What made the whole experience was my fifteen minutes of pure silence prior to the parade that followed. 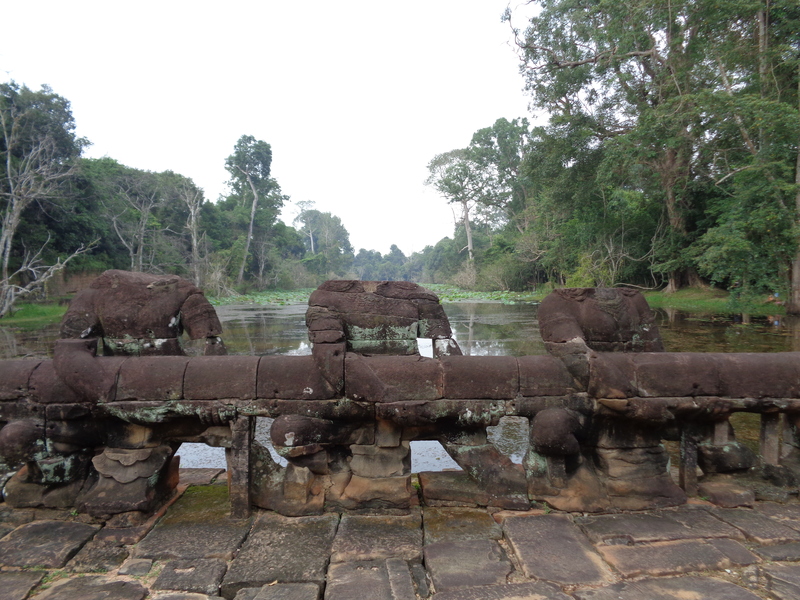 I really appreciated the majesty—–of Angkor Wat, past and present. I stood up from my grand view point to stroll the monument one last time, completely satisfied, resonating in the triumphant peace given only hours prior. Being amongst the gleeful pedestrians behind their lenses, I exited Angkor Wat within minutes and pedaled myself away smiling.